I belong to a private group of ATC swappers called "Full Sleeve" and this month's theme was Baby. 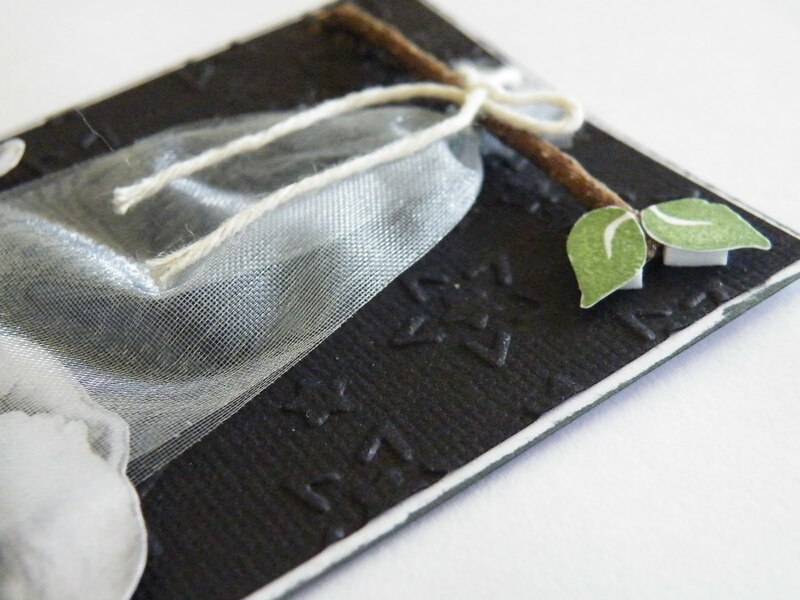 I have used the Stars Cuttlebug embossing folder for the background and inked around the edges. 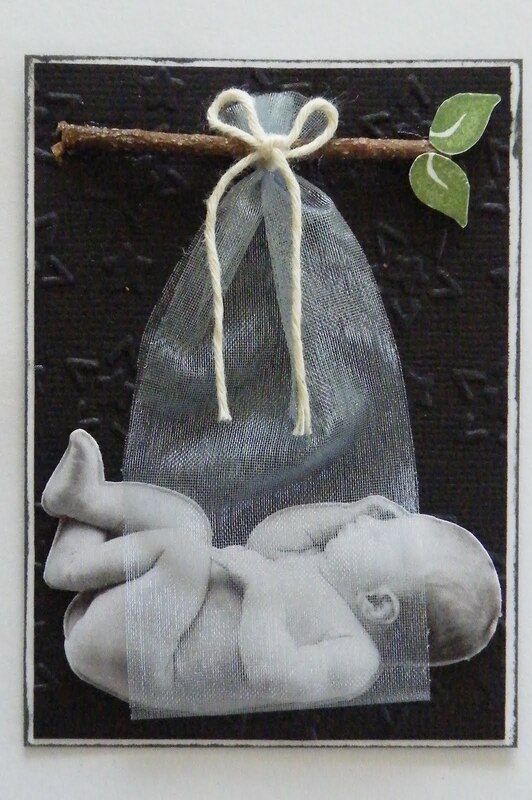 The baby is a pic I sourced from the internet and then I tied him hanging from a tree branch with some blue organza ribbon. It's a "he" as blue was the only colour ribbon I had enough of in my stash ... well at least until 3 yr old hands got at it with the scissors ... so two ended up being in silver! The branch is a real twig, carefully harvested off my hubby's topiary's while he wasn't looking ;-) and the leaves are stamped and then cut out and layered with foam dots.